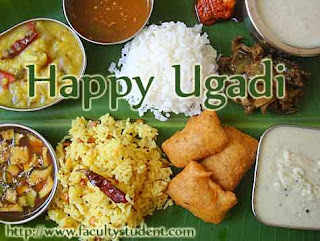 Chandramana Yugadi, the festival which hereby the beginning of the new year for those who follow Indian calendar based on Shalivana era, it is celebrated traditional fequau in Malnad and coastal party of Uttara Kannada district. The Yugadi day begins consumption of “Bevu Bella” which signifies the joys & follows in over life people consume neem heavy mixed jaggey & ghee special pujas are held and Holize” made of Bengal gram is the special sweet item for lunch. In some places, annual religion refunds called “Devakarya” will also be performed in temples. As Yugadi mousy the beginning of new samvatsara, people purchase panchanga (Traditional Indian Calender) in advance, and area it on Yugadi day. In some places, people gather at one place to listen to the priest reciting the panchanga. By studying the unmovements of “Yugadi Purchages” mentioned in the Panchanga, happenings in the future will also be predicted. With Yugadi, the spring reason begins & Mother Nature blooms with all the glory, flowers blorrum geeneey return to its earlier glory, and chirpy birds start unmoving enthusiastically again. As people of uttare Kannada live in harmony with dense forests which cover unmajority of geographical area in the district, they love to witness positive changes darkign place in the forests in the specing season. These changes are believed to have poultice impact on the mood of people also. Some of then are happy that they could collect more hone from forests in this season. As examinations will also be over soon, children love to go for outing & fasten some rare fruits available in forests. In urban areas also exchange of “evu bella” new clothes & special lunch make Yugadi celebrations. 1. The word group dynamics was used by “Kurt Lewin” in 1930. 2. Group dynamics refers to the forces operating in a group. 3. Group is not a mere collection of people. It has its own characteristics. Only that “collection of the people” may be termed as the group. It has a common goal, common task, common values & norms. 4. Group is a social unit of interacting personalities who think feel & act together & who have some common aims, interest stimulations, emotions etc. 5. The word dynamics is derived from Greek word which means force. a. Groups are in a bitable. b. Group mobilizes powerful forces that produces effect of at most importance of individuals. c. Group produces consequences may be desirable or undesirable. d. It provides better knowledge about group formation & behaviour modification. 7. A social unit consisting of a member of individuals who stand in role & status relationship to one another, stabilized in some degree at the time who posses a set of values regulating their behaviour is “group dynamics” said by sheriff & sheriff. 8. Face to face contact is called as primary group and in secondary group face to face contact is not always it is vocational. If the contact is minimal among the people then it is called tertiary group. Example of tertiary group is meeting to the people during journey time [as soon as journey is over we say good bye to another. 9. Urbanization and industrialization have necessitated the formation of formal group. example civil service, business organization, Army Navy etc. 10. Informal group provide flexibility from rigid prescribed behaviour ex business executive & officers. 1. The group has conscious as well as unconscious unity. 2. Each group has certain common understanding among its members. 3. The group member may interact or communicate each other directly or indirectly. 4. The group members always have we feeling and mutual sympathy. 5. They develop love, some time they have common interest purposes. Because some time they have common interest. 1. Behavior of group members influence & causes or change in the behaviour of others. 2. It develops a sense of oneness, sense of dedication, sense of limitation &sympathy. 3. They have common goals and interest. 4. Each group has its own, norms, customs, traditions etc. 5. Group has always an inner strength with a objective which constitute a challenge to the group. 6. We can develop group dynamics in school by celebrating national festivals, school day, teachers day & all other national festivals. 7. Even by celebrating important days such as environmental day AIDS day, Health day etc, we can develop group dynamics. 8. School hostels can playa good role & can provide good opportunities to develop group mind. 1. Muzaffer Sharif: Group means combining individual behaviours of individuals in a particular pattern, in such a way that there should be interdependency between one another. 2. M. Smith: It is a unit where many living beings works together for common cause. Living in an environmental & not detaching from the attachment one should struggle to reach the goal. 3. Boss: Man is eager to become a member of certain organization in order to fulfill his needs and to exhibit his talent. 4. MACK DAVID: Social psychological group always contains two or more persons having common cause. 5. DR. MATHUR: Group dynamics in education. a. Teachers can teach many difficult topics easily using group techniques such as group project, group work, group discussion, group excision etc. b. Many subjects like nature study, physical education, science exhibition etc. maybe taught effectively in group situation only. c. It is the duty of teachers to develop the qualities of citizenship among students. By giving group activities teacher can develop good relation among the students. d. Many information regarding new innovations &new changes in the education may be given to the students better in groups. And groups are also needed in educational situations for inter college and interuniversity compactions. 1. Students believes values & actions are generally controlled by their group. 2. Group feelings and group belongingness makes the group more cohesive and strong. 3. Group pattern and group style influence its members deeply, directly, or indirectly. 4. Group is a very strong instruments for bringing the changes among its members. 5. Sociometric tests are very important for the study of group dynamics in the class room. 6. Group proceeds & works with greeter energy & mostly in objective oriented. 7. Students learn better in group setting then individual setting. 8. The group characteristics and group behaviour influence the personality of group members. 9. Some patterns of class behaviour reduce tension group. 10. Group formation is desirable but teacher should be careful & discourage gang formation.